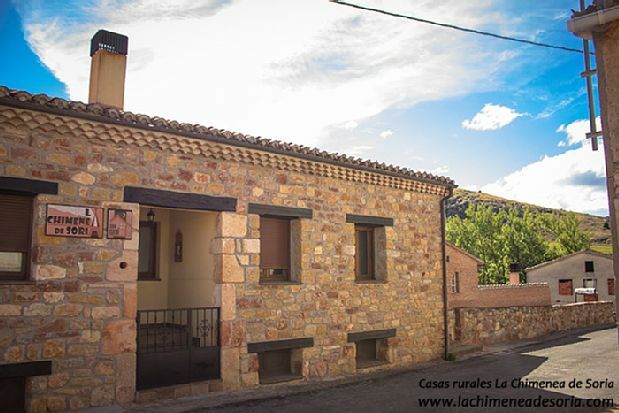 2 accommodations located in the surroundings of a beautiful natural area, the Cañón de Río Lobos Natural Park, each of them has: 4 double rooms, two bathrooms, kitchenette, fully equipped lounge, can be rented separately or both together. On the ground floor, the Chimenea de Soria II, one of the rooms, has the Typical Castellano Fireplace and 3 beds. Its geographical location makes it possible for the traveler to enjoy a bucolic environment of great scenic beauty.